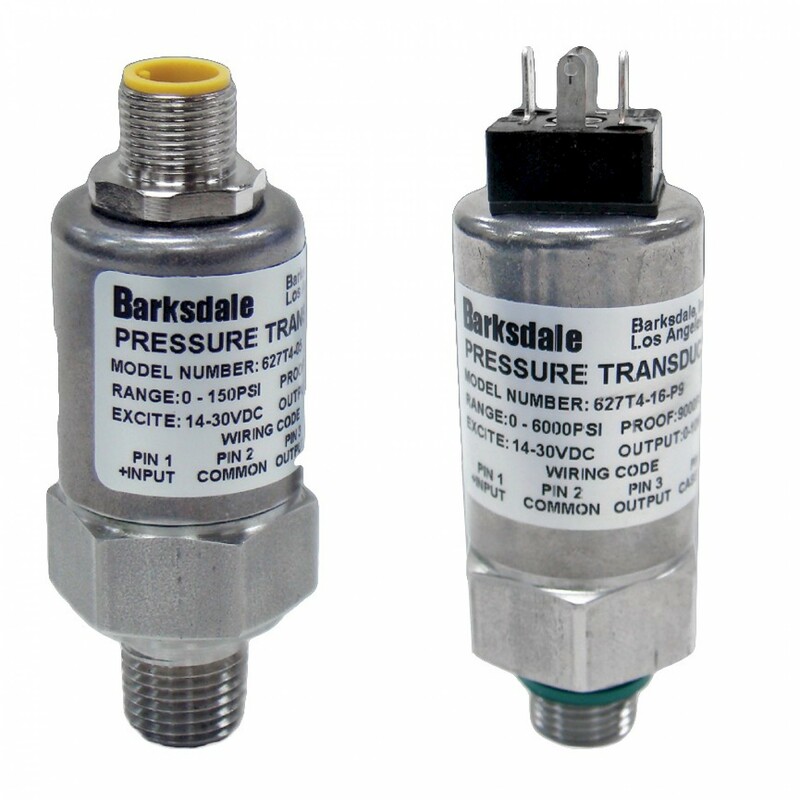 Barksdale's Series 600 is the ideal solution for applications that require a low cost, accurate, reliable transducer in a small package. Where long term stability is a requirement, the Series 600 transducer delivers. With a robust ceramic sensor that excels in rugged environments, the Series 600 offers high accuracy at 0.5% FSO and thermal stability within .06% over the entire operating range of -40 to 85° C.
Wetted materials of 316 stainless steel, ceramic and Viton® make it ideal for use with aggressive media. The Series 600 is available in pressure ranges from 0 - 2 up to 0-414 bar and a variety of standard outputs including 4 - 20 mA and 0 - 10 VDC.